Learn more about the facts behind bankrupcty. Declaring bankruptcy isn’t easy. In Glendale you’ll be required to show proof of income, to list all of your debt, and to show how much equity you have in secured debts, such as your house. There are many debts that a Peoria bankruptcy won’t eliminate, including secured debts such as your mortgage and vehicle loans, student loans, child support and federal and state tax debt. In addition you will be required to pay court fees and filing fees. A Glendale bankruptcy lawyer can guide you in deciding if bankruptcy is the right choice for you. Not necessarily. When filing bankruptcy most debtors are allowed to keep their home if they can show that they will be able to make the mortgage payments. You will also be allowed to keep your vehicle. The rest of your assets must be turned over to a bankruptcy trustee although some assets may be exempt, such as pensions and retirement accounts. In addition, you may be allowed to keep tools or equipment that are necessary for you to earn a living. 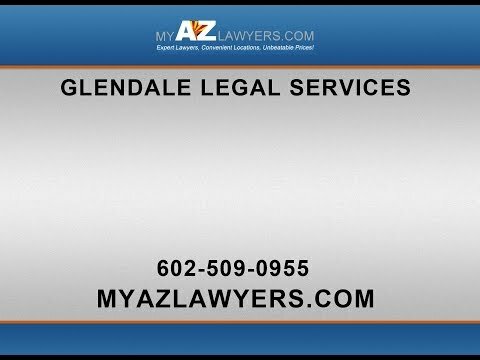 Contact your Glendale lawyer for more information. This isn’t necessarily true. Filing bankruptcy will definitely have a negative effect on your credit rating for a long time to come. It will remain on your credit report for 5 to 7 years. One of the main factors that contribute to your ability to obtain a loan will be the amount of time that has passed since your bankruptcy discharge. Another deciding factor will be your current money management. You can begin rebuilding your credit immediately by paying bills on time and incurring as little debt as possible. You may also be able to convince a business or institution to give you a loan if you make a large down payment. Each time you successfully pay off a loan it will rebuild your credit. Some people find that the effect is quite the opposite. If you have been afraid to answer the phone due to creditors threatening and harassing you, filing for bankruptcy can bring a great sigh of relief. Filing for bankruptcy is a difficult decision, but once the decision is made, filing for bankruptcy brings immediate relief from those harassing creditors. In addition bankruptcy filing will stop wage garnishment and various other legal proceedings against you. If you are in financial trouble and things appear hopeless, bankruptcy may be the answer to your problems. Call to schedule a consultation with a bankruptcy lawyer at My AZ Lawyers. A bankruptcy lawyer can advise you on whether filing bankruptcy is necessary, how to save the assets you want, and if it would be better to file a Chapter 7 for discharge of debts or to file a Chapter 13 to reorganize your debts. The sooner you get started the sooner can get relief from creditors, take back control of your finances and begin to rebuild your credit.